This skating fashionista can be found at sajo360. In between runs she dances – stretching is important in any exercise! Supporters keep sharing your pictures. 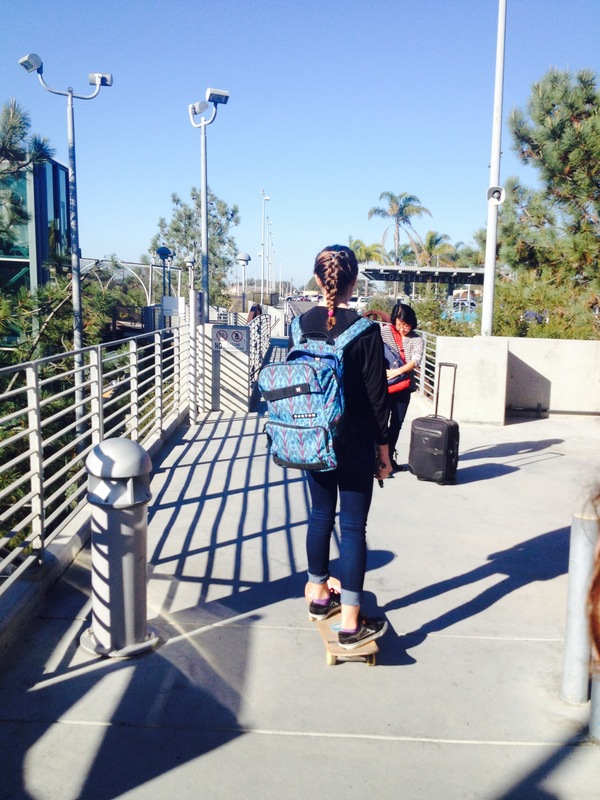 More girls skateboard when they see girls skateboard. Paris is known for its fashion designers with the twice-yearly Paris Fashion Week, and for its haute cuisine, with many three-star restaurants. And now it’s known for its skating fashionistas. I first noticed the style of Alix, she then told me she is not alone skating the streets of Paris and introduced me to the Surf_the _street_Paris crew. I visited Paris several years ago and knew I’d have to keep going back for the fashion. Now I know I have to go back for the skateboarding too! A must Instagram to check out is h_222_8 she’s keeping it fun and fashionable in the Republic of Korea and as you see she’s got friends. Yes, I continue to get comments about how skating is not for girls and I don’t publish what I don’t believe. 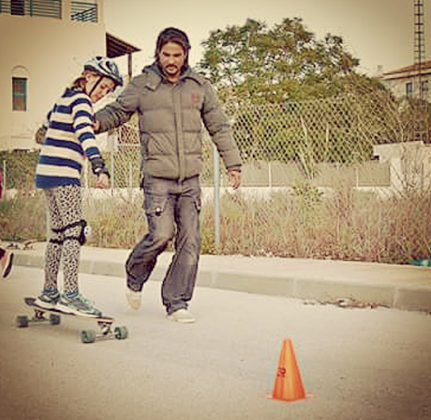 Girls can skate and you don’t have to be a master shredder to have fun skating – you need a board & a positive attitude. Stay tuned more proof that girls can skate to follow! Christian Ras Hafeez is an amazing athlete and inspiring coach. His skate school, Gravity Cartel, teaches the world to ride one board at a time – Ohana Style. From one of the classics – Lilo & Stich – Ohana means family and nobody gets left behind. Thanks Christian for the reminder skateboarding is about being family! In my family we accept members for who they are. That means I support skaters on any kind of board and at their personal level. 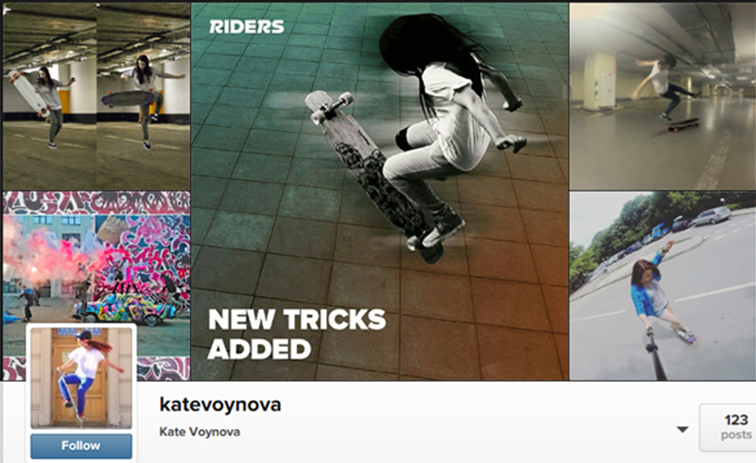 Yes, girls are definitely skateboarding in Russia, just check out katevoynova to see girls keeping it fun & fashionable. You can also find her on Riders Channel. I love her fashion style and how she keeps the skate spots interesting. Skating is not a crime and parking garages really are ideal spots when it’s raining or snowing. Spain is where we find our next Skating Fashionista. Juliaadam9 is definitely a stylish shredder. It’s really hard picking just one photo when she has so many fabulous shots. 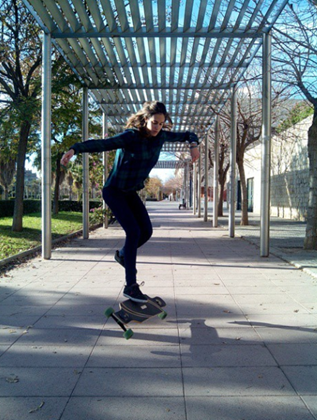 And more girls are skateboarding as they see girls skateboarding – doubters & haters go away – we are here to skate & stay! You can just tell Daeyana Shabela has confidence. I love this picture and her Bio Tag Line Act like princess. Sleep like bear. Love like mother. I love myself so high. Skateboarding teaches balance on and off the board. Girls can be a princess, a bear, a skater, a fashionista, and anything else they want to be. Why am I so positive when I mention a product? It’s simple, I want the skating fashionista blog & Instagram to be positive & encouraging. I choose to write about products I personally use and enjoy. Just roll away from negativity and haters. Papparazzime is a rookie skateboarder and optometrist with a love for sun glasses. 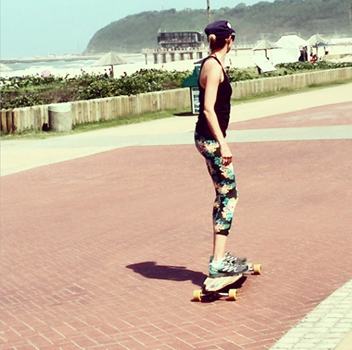 Looks to me that she’s on point with her fashion – loving the leggings for skateboarding – form & function! 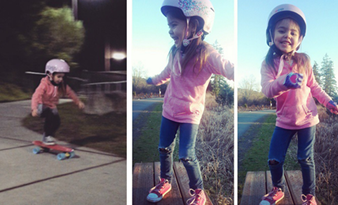 So many stylish shredders around the world proving girls can skateboard! King Louie the cat says girls can skateboard and he even helps get skateboards ready to ride. This video is from true_story_true_skate so you know it’s the truth. King Louie is not alone – dogs say yes too and step it up by skateboarding themselves. Check out my black and brindle buddies – yes there’s videos thanks to rebelstaffylola. 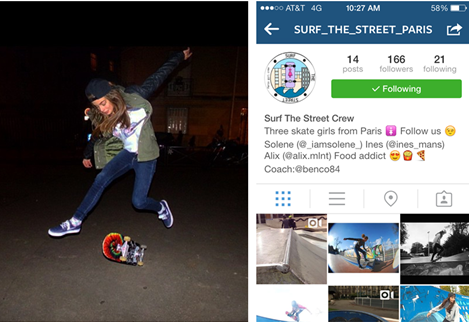 Follow the lead of my animal friends support Girl Skateboarding! Keep the support coming – together we make the change we want to see!